Jim's Florist is located on northbound Mound Road, just south of Chicago Rd. in Warren. James Milne began serving the city of Warren and surrounding areas as Jim's Florist in 1964. The current owners, Suzanne Jones and Patricia York AIFD, are proud to continue the 50 year tradition of Jim's Florist, creating and delivering memories with beautiful flowers and plants for all of life's moments. Whatever the occasion - sympathy, birthday, anniversary, get well, new baby, congratulations - flowers are the perfect gift! We deliver to the General Motors GM Tech Center in Warren, as well as all area funeral homes such as Temrowski, Wysocki, Verheyden, Wasik, Peters, Wujek Calcaterra, Bagnasco Calcaterra and many others. 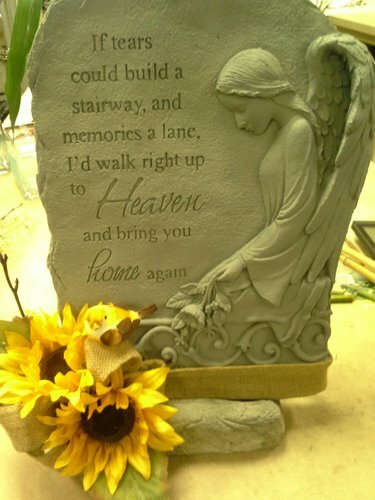 In addition to floral designs and plant gardens, we also have an extensive array of sympathy or bereavement gifts; garden stepping stones, plaques, angel statues and throw blankets are among the choices. Browse thru our online catalog or give us a call, we willl be happy to select for you or to custom design a beautiful floral arrangement for your unique needs. You may order online, by phone, or in person at our shop. We're open til 5 pm Monday thru Friday. *Our shop is open from 9:00 a.m. to 5:00 p.m., Monday through Friday and from 9:00 a.m. to noon on Saturday. We are closed on Sundays. To help assure on-time delivery during the busy holiday season, place your order at least 1 day prior to the following major holidays: Thanksgiving Day, Christmas Day, New Year's Day, Valentine's Day, Easter, Administrative Professionals Week and Mother's Day. Our shop will always be closed on the following holidays: Thanksgiving Day, Christmas Day, New Year's Day, Easter, Memorial Day, Fourth of July and Labor Day. 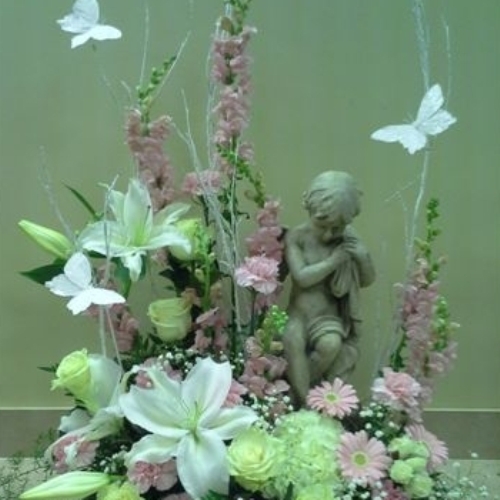 Specializing in personalized and unique sympathy designs in beautiful fresh flowers and living green and blooming plants. We also carry an extensive array of memorial keepsake items: garden stones and angels, windchimes, memorial throws and more. Please call and we will be happy to assist you with your selections for any occasion. If you have any questions or need more information, call us directly at 586-978-1004. Remember that we are here to help you make the best selection for your needs and welcome the opportunity to speak with you to create a personalized floral gift or tribute to a loved one. We're always here to serve you and make your flower-sending experience a pleasure. A local delivery fee of 12.00 will be added to each order, for each address. (For deliveries outside our local delivery area, this fee may vary.) U.S. orders must be received before 12:00 noon in the recipient's time zone to help assure same-day delivery. Orders received after that time will be delivered the following day. We will do our best to accommodate deliveries at a specific time of day, but we cannot guarantee it. We are unable to make deliveries on Sundays, with the exception of local funeral homes as needed. We will be happy to accept your international orders if you call our shop directly. We are unable to accept international orders over the internet. We will always contact you before making any substitutions that will substantially alter the overall look and feel of the design selected.